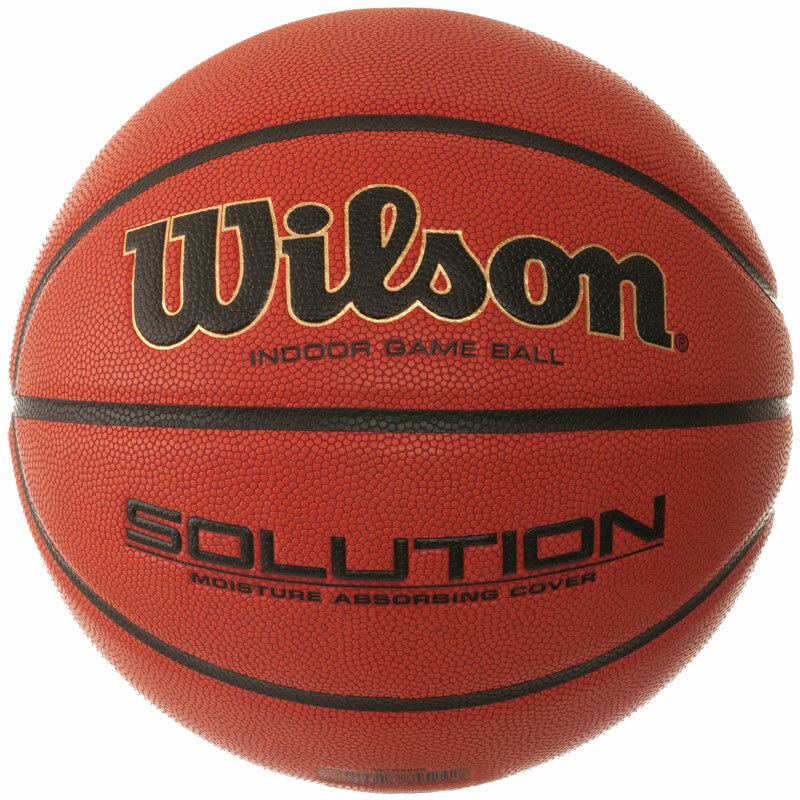 The Wilson ® Solution Official Basketball is a ball for competitive match play on indoor courts. The composite leather cover absorbs moisture to give the ball better grip in the hands and this is supported by revolutionary Aqua-Grip composite leather pebbled channels. Exclusive moisture absorbing composite leather. Revolutionary Aqua Grip composite leather pebble channels. Cushion Core Technology - patented cushioning combines low-density sponge rubber and incredibly durable butyl rubber to produce a basketball with exceptional feel. Deisgned for the highest level of competative play. Official game ball of many European Leagues. Great ball with the right amount of grip. Can see a major difference compared to the multisurface balls. 5 out of 5 Sticky! Awesome ball, so sticky. Only problem is keeping track of it as everyone else wants to play with it. Best ball I've ever had.